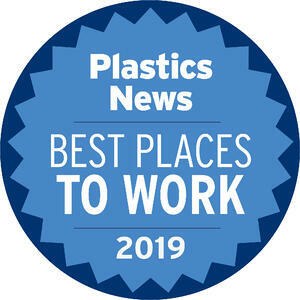 For the sixth consecutive year, Plastic Components, Inc. has been named as one of Plastics News’ Best Places to Work 2019. The program was created by Plastics News and Best Companies Group, an independent research firm that specializes in identifying great places to work, conducts the surveys, analyzes the data and manages the process, while Plastics News publishes the winners. The survey and awards program were designed to identify, recognize, and honor the best employers in the plastics industry, benefiting the economy, workforce, and businesses in the United States and Canada. Employer surveys account for 25 percent of the grading, and employee feedback counts for 75 percent. A total of 15 companies have been recognized as Plastics News’ Best Places to Work 2019. Each year, PCI strives to build on the opportunities available for employees to do their best work, be their best selves, and give back to the communities and organizations they serve. With a team of just over 60 individuals, PCI representatives are committed to advanced manufacturing practices and creating a culture of dynamic growth for all. From career advancement opportunities, training and education, team building, and community outreach – PCI continually looks for ways to further engage and excite personnel and partners.